"Group 10" redirects here. For the rugby league competition, see Group 10 Rugby League. Nickel has an important role in the biochemistry of organisms, as part of the active center of enzymes. 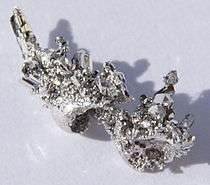 None of the other group 10 elements have a known biological role, but platinum compounds have widely been used as anticancer drugs. Aside from nickel, the elements are toxic for organisms.